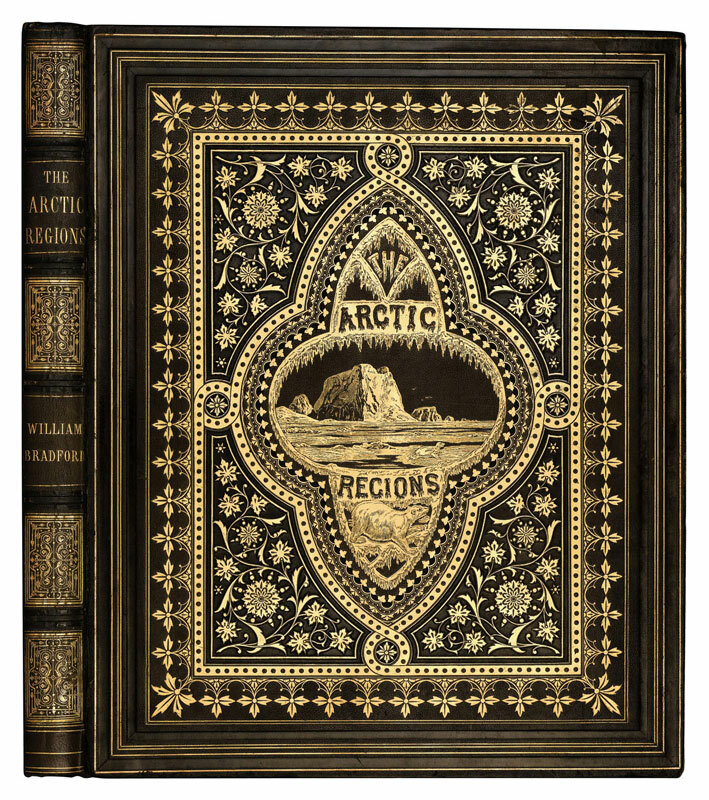 The Arctic Regions is a celebrated 1873 book that represents the first photographic survey of Greenland’s western coast. Part of a dissertation project at Stanford University, undertaken in the Center for Spatial and Textual Analysis and the Department of Art & Art History, this website hosts a dynamic census, a current list of all known extant copies of the book. If you know of copies not listed below, please contact George Philip LeBourdais to make an addition. NB: The locations and identities of private collectors will remain confidential. The Arctic Regions: Illustrated with Photographs Taken on an Art Expedition to Greenland was produced by William Bradford (1823-1892), an accomplished marine painter from the maritime hub of New Bedford, Massachusetts. Among his crew were the distinguished Arctic explorer Dr. Isaac Israel Hayes and two Boston-based photographers, John L. Dunmore and George Critcherson. With Bradford’s direction and cooperation, they produced an impressive collection of glass plate collodion negatives with large wooden view cameras. While Bradford projected these images from the expedition in popular lectures on his time in “The Frigid Zone,” The Arctic Regions itself was a luxury publication for private art collectors, measuring 20 x 25 inches and combining narrative text with 141 albumen photographs depicting glacial landscapes and native “Esquimaux” peoples. As such the volume marks the end of a golden age of photography, during which glass negatives were hand printed and set into the text of large-format books. While the Fleet Street, London-based publisher planned for 300 copies – Queen Victoria and glacier scientist John Tyndall were among the initial subscribers – far fewer copies were completed, due in part to the hefty price tag of 25 guineas (more than $5,000 USD in today’s currency). Thanks to the New Bedford Whaling Museum, the book was republished in a smaller, more accessible format in 2013. Embracing innovative techniques in the digital humanities, this census makes an important contribution to scholarship on William Bradford, the history of photography, and American art. The information it compiles will be analyzed in the dissertation and represented in a series of digital maps. Sharing and forwarding the link to this site will help to expand knowledge of The Arctic Regions, as well as of the swiftly changing place it depicts.